Are you ready for swaddling 101, soothing, feeding, bathing, protecting and caring for your newborn. Experience baby prep and gain new mommy insight from Celebrity Maternity Concierge, Founder and CEO, Stephanie D. Johnson. October 12, 2013 – North Texas Mommy EXPO – Join Bed Rest Concierge as we host the largest Mommy Expo in North Texas. The day will be filled with fun, excitement, giveaways, fashion and more as the best vendors and sponsors showcase products and services celebrating Mommyhood! August 28, 2013 – 40 Under 40 – Presented by The Dallas Business Journal recognizing all 40 top business professionals. 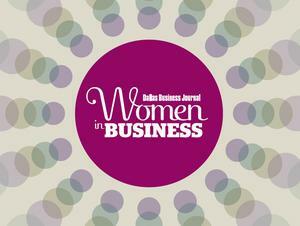 Join the Dallas Business Journal in honoring the Top North Texas Women in Business! There will be networking and trade show before and after the awards luncheon. Don’t miss the celebration! 5th Annual Women Leading Business Conference and Expo is hosted by the Lewisville Area Chamber of Commerce Women’s Division. This is a great opportunity for professional development, business-to-business networking and the opportunity to establish new connections. Dynamic speakers will include Stephanie Johnson CEO of Bed Rest Concierge, Sandra Yancey CEO of EWomen’s Network, Debbie Sardone founder of Cleaning for a Reason and educator Libby Spears, who will serve as Emcee for the conference. Visit www.stephaniedjohnson.com for more information on appearances.